Home » » The Business Of Law Practice/ What Law School Does Not Teach You | Olivia Muzan Esq. 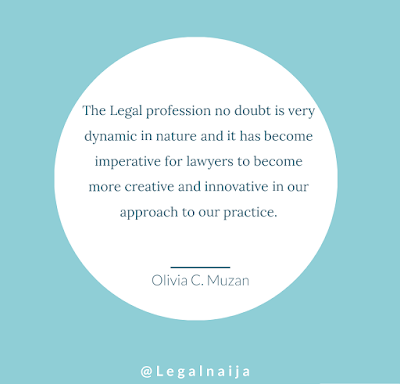 The Business Of Law Practice/ What Law School Does Not Teach You | Olivia Muzan Esq. BUILDING THE LAW FIRM OF THE FUTURE: THE BUSINESS OF LAW PRACTICE/WHAT LAW SCHOOL DOES NOT TEACH YOU. By Olivia C. Muzan, Esq. It is interesting to know that the narrative of the Legal profession is gradually changing, especially regarding law practice and law firm management. The Legal profession has gone beyond practice and procedure. The ability to welcome change and development is a key asset for today’s successful legal practitioners’ and law firms. In this modern, ever changing world, what is satisfactory today will need constant advancement to cope with the demands of tomorrow. To be successful in such a world, it is important that you maintain both your personal skills and knowledge and use the latest techniques to motivate and encourage others to accept your leadership and ideas. It is after this Legal Education training at the Nigerian Law School that a person is then qualified and given a license to practice law in Nigeria. As lawyers, we all know that what we learn in the university is the substantive aspect of the law, while that of the Law school is entirely practice and procedure- at this stage at the Nigerian Law School, we are “equipped” with the technical know-how and all that practice and procedure entails. Unfortunately, there is not enough or adequate provision in the curriculum for Business Education and training. When we leave the law school and are faced with practical realities of law practice we realize that we are not adequately informed with a lot of the challenges we tend to face in practice. 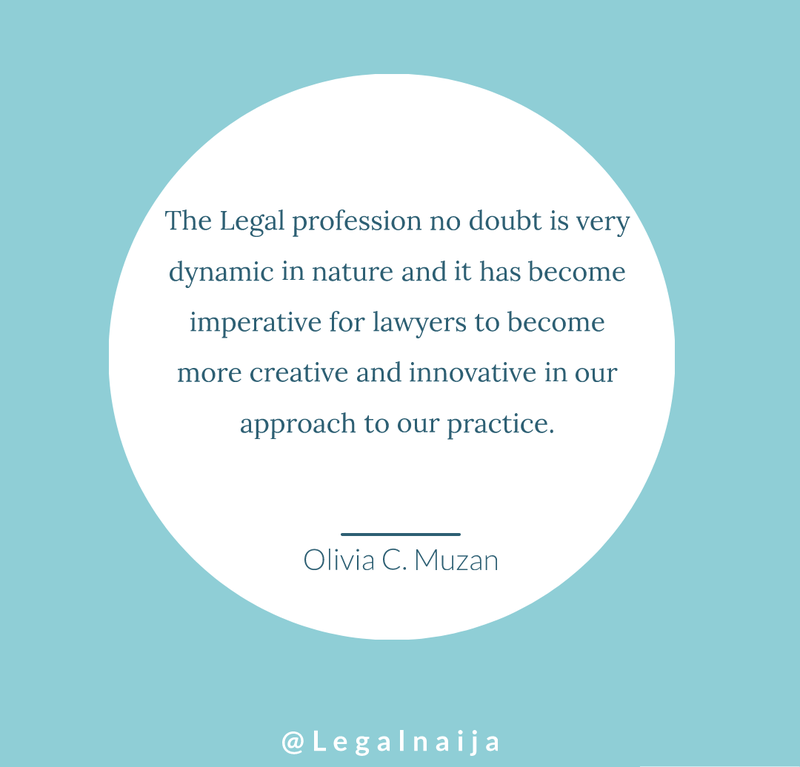 The Legal profession no doubt is very dynamic in nature and it has become imperative for lawyers to become more creative and innovative in our approach to our practice. Business development is about developing and implementing growth opportunities within and between organizations in the legal sector, it includes strengthening ties with existing clients as well as identifying new business opportunities and potential new clients (1). Business development entails acquiring knowledge and skills that are required to run a Business efficiently and effectively to give client satisfaction. It is settled knowledge that running/owning a law firm is akin to running any other kind of business, therefore, it is important that the principles of business are applied to running a law firm. Afterall, the goal is profit making, giving value and client satisfaction. The list is endless but the above mentioned are just a few of the important skills lawyers need to develop in addition to lawyering. These skills will not be dealt with exhaustively, but the writer encourages us to avail ourselves with training courses both online and physically where these Business concepts are taught, to incorporate them into our daily law practice. Also, there are a lot of books on Business and Leadership that could be of immense benefit to us. Some include Harvard Business Review to mention a few. For those who can afford to pay to attend Business schools like Lagos Business School, trainings by business consultants, that is also a great way to acquire business knowledge. Networking-I remember been in Law school and some of our lectures saying, “your first clients as a lawyer are your friends and family members”. Going forward in practice, I ask myself so after friends and family what next? How do I build a client base? How do I meet people and get them to do business with me? For people who are introverts like me, the word “networking” can be scary. Networking goes beyond just attending social and corporate events, seminars, conferences, workshops, exhibitions and exchanging business cards. You need to be able to have a deep connection with people you meet before they will want to do business with you. Recently I was watching a program on CNN called Business Traveller and the presenter was interviewing a woman who I remember saying “people are going to have to like you before they do business with you. For me, the idea of Networking will be making yourself a bit more likeable and then you begin to attract the right people for business. I believe all of us can constantly work on ourselves just like i am currently doing to make ourselves more likeable to do business with. We need to constantly rebrand ourselves and have more “people skills” to be able to Network effectively. So, in addition to being more outgoing, we can at least try to be more likeable, trustworthy, having integrity, and making potential clients and business partners have confidence in our abilities. Of course, having all these qualities together with having the knowledge of the law will be of great advantage. Soft Skills Development- According to Wikipedia, soft skills are a combination of people skills, communication skills, character or personality traits, attitudes, career attributes, social intelligence, emotional intelligence quotients, among others, that enable people to navigate their environment, work well with others, perform well and achieve their goals with complementing hard skills. I believe that soft skills can be developed over time through conscious training and intentional determination. In addition to the above (my opinion) the ability to use your initiative, to think outside the box and think on your feet when faced with an unexpected challenge is a soft skill. The ability to use your creative/thinking abilities can make you a problem solver/solution provider. Emotional Intelligence Skills-Emotional Intelligence refers to our ability to recognize and manage our feelings, to empathize and to interact skilfully. Emotional Intelligence helps us “grasp human nature”-knowing ourselves and how others feel and see the world and understanding the complexity of relationships. These abilities all differ from IQ which measures logical thought and the ability to analyse. To understand human nature in general, it helps to first understand ourselves, which takes self-awareness, we recognize our feelings and how they impact. The essence of Emotional Intelligence or (EI for short) cuts across every strata of human interactions of which its practice or negligence portray obvious consequences. Researches have shown that people with higher Emotional Quotient (EQ) and average intelligence quotient (IQ) tend to turn out more successful than people with higher intelligence quotient (IQ) and lower Emotional quotient (EQ) especially regarding engagements that leverage on social interaction. In his article “Why you must lead with Emotional Intelligence” Osita Jeb Elebe explains five (5) vital parameters in which Emotional Intelligence cuts across. a) SELF-AWARENESS: capacity to know your emotions, abilities, flaws, values, passion, and their effect on people in your space. b) SELF MOTIVATION: ability to power or drive yourself independently to achieve set goals, irrespective of circumstances, and awareness that elements that ignite your passion. c) SELF REGULATION: the ability to control and regulate your emotions and feelings, and openness to adaptability to change. d) EMPATHY: knowing and considering the emotions of people around and putting yourself in their place when making decisions. e) SOCIAL SKILLS: connecting with people and handling interpersonal relationships with grace. Like any other skill, emotional intelligence can be developed and enhanced for effective self-management, people management and Client management for the effective running of an organization. Digital and Technology Skills: -The world is Technology driven, we all know this; therefore, we must keep up with technology and its emerging trends to be able to be effective in our day to day law practice. Financial Technology and Artificial Intelligence are the new trends in the tech world and these two trends are finding their way into the legal sector, especially Financial Technology Law. It has been said that Artificial Intelligence is a part of Financial Technology, so I’m going to place more focus on Financial Technology. Financial Technology according to Investopedia.com is used to describe new technology that seeks to improve and automate the delivery and use of financial services. Basically, it is a broad category that refers to the innovative use of technology in the design and delivery of financial services and products. These will not be discussed extensively in this article but in subsequent articles of the writer. With the emergence of a lot of FinTech Start-ups in Nigeria there’s also going to be a high demand for Lawyers to advise these FinTech companies, so it will be in our best interest to develop legal knowledge and to be abreast with the Regulatory framework in the FinTech world. I deliberately isolated this business concept, simply because of its perception in the Legal profession. I am going to deal on Advertisement as it is permitted in the profession. What Does the Rules of Professional Conduct say about Advertisement? b) It complies with the provisions of these Rules. Sub-Rule 2 and 3 state unequivocally how lawyers are not permitted to advertise. Sub-Rule 4 states clearly the ways and manner a lawyer may advertise. How can a Lawyer advertise Digitally? The following are some of the ways a lawyer can advertise digitally. ➢ Use your WhatsApp status. Organizational structure refers to a system that outlines how certain activities are directed in order to achieve the goals of an organization. These activities include rules, roles and responsibilities. The organizational structure also determines how information flows between levels within the organization (Investopedia). ● Successful Organization structure defines each employee’s job and how it fits within the overall system. ● Having an organized structure in place allows organizations to remain efficient. The disadvantages of not structuring firms properly is that it leads to lack of growth, the lawyers keep leaving, unhealthy competition, poor management, lack of productivity and efficiency. It is important for lawyers and law firms to know and understand the need for Organizational Structure and Management, this enables or enhances a smooth running of day to day business, employees know their roles/job description, clients get better satisfaction for services rendered. Organizational structure also leads to sustainability. I believe that it is imperative for lawyers to structure their law firms in a way that is sustainable and long lasting. Its time to build institutions and systems that outlive generations. In this fast pace, technology and innovation driven world, there has become an increasing need for lawyers and modern-day law firms to conform to emerging trends in Business Development and Leadership skills and apply principles that govern business. 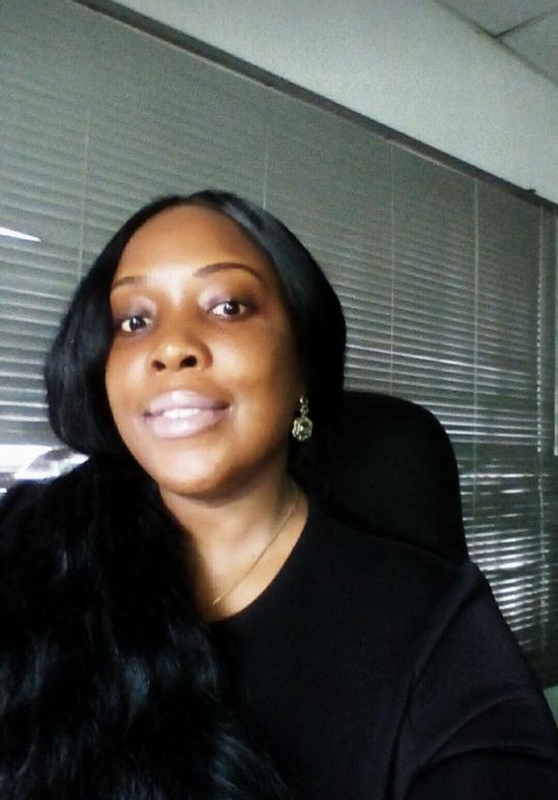 The need for Business development skills to be acquired by every lawyer who desires to pursue a career in law practice cannot be overemphasized. Developing Technology skills will be of great advantage to the future lawyer and law firms. v. Introduction to FinTech by Davidson Oturu.